Brother Victor, Francisco's father late last fall. On this day he told Rhonda and I that he had lived a very good blessed life and how God had always been there in his time of need. Special need for Francisco and Rosy. 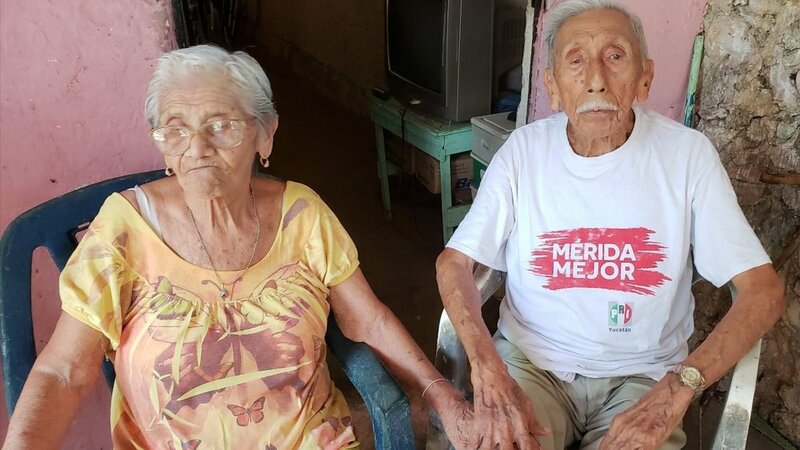 We received a message and phone calls yesterday that Francisco's father, a member of the church that meets at Emiliano Zapata Sur III(Merida) had been taken to the hospital and has not recovered from the emergency surgery that was performed. He is in a coma at this time and not expected to recover. Francisco has traveled from Chetumal to Merida and is helping his mother with the hospital trips and all the information that they are being given from the medical staff. We at Christ's Mission in the Yucatán(CMY) know that their needs are many at this time. 2. Pray for the church in Emiliano Zapata Sur III as they minister to the family. 3. If you can help with travel, hospital or future expenses please do so soon. a. click the donation button near the top and use the Givelify app to make an instant donation. and Rosy medical and funeral expenses. Francisco visiting homes in Chetumal with men from the church. Starting 2019 with Discipleship plans and goals.